"They were awesome and very knowledgeable, fab kids!" "They were an absolute credit to themselves, their school and their families." 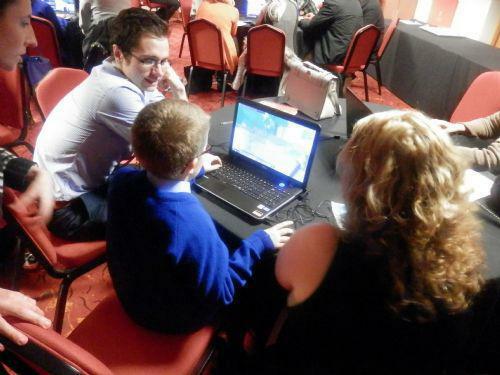 Luis (Year 5) said, "We went with Mr. Head to a conference at Anfield to work with MGL and show how we use Minecraft in our school. There were lots of teachers there who were asking us questions. We had to answer them and demonstrate how Minecraft can be used for educational purposes. I think it is great that we use Minecraft in our school because it is a completely different way to find out information. Sometimes when I am playing Minecraft, I feel like I am a part of the world I am in rather than just on Earth reading a book. It is a much more interactive and visual way of learning, and you can also co-operate with your friends too!"